Do it: Collaborate and engage others to Do Something Now. 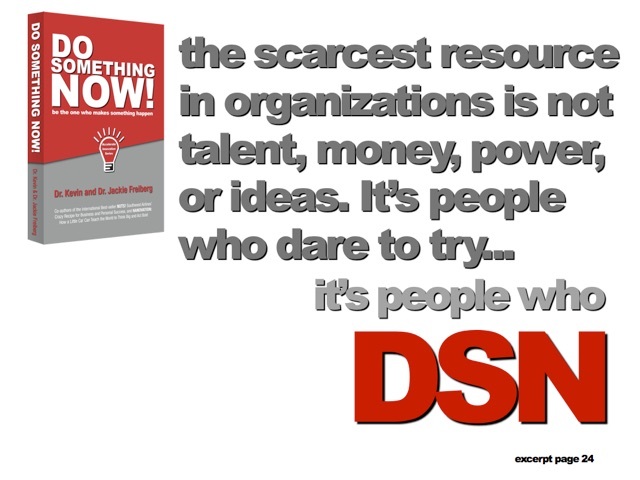 Each Keynote includes 10 gift copies of DSN. Please contact Sonia@freibergs.com for hold requests. 3 simple words that can change your organization & your life!